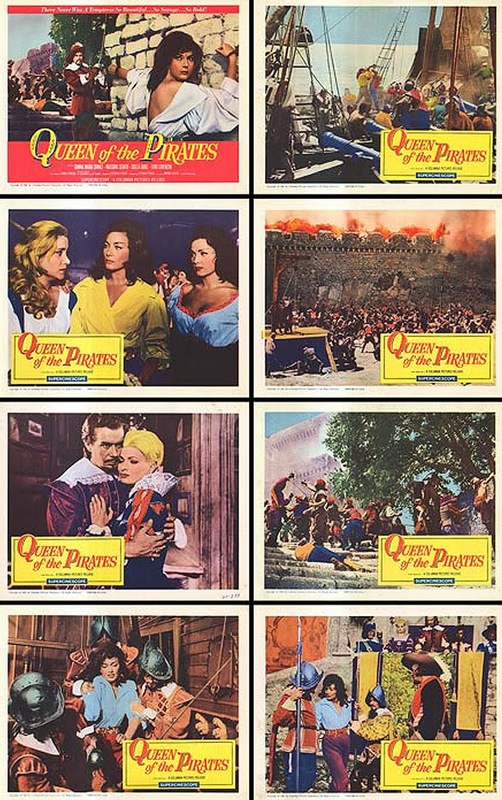 US lobby cards set for QUEEN OF THE PIRATES: 4 cards with Gianna Maria Canale which makes this a pretty good set, but the dull cards no 2, 4 and 6 bring it down. No 3 is the best card with Gianna and Moira Orfei together and card no 5 with Massimo Serato and Scilla Gabel. Good but could have been greater without those 3 boring cards. The fact that these English language US lobby cards exist makes me hope that a dubbed version of the film will turn up eventually.